Hey all! Today I have the pleasure of welcoming another dear friend, Jill Kemerer. I reviewed Jill's book, Small Town Bachelor, on Friday, and she's here today to speak some words of life into us. Wonderful wife, mom, writer, and organizer extraordinaire, Jill's testimony of trusting in God even when things weren't going as she planned is one we can all relate to. Praying her words encourage you today! I spend a lot of time walking. My favorite places to hike are nature trails in nearby parks. Within minutes of soaking up the fresh air, the colors of the season and the sounds of birds, I find myself praying. All the worries on my mind pour out. Often I grin, thankful for life and blessings. If something is heavy on my mind, an hour might pass with me begging for help and direction. I have a tendency to expect that life will let me down. I was an optimistic kid, but we all have disappointments and heartbreaks as we age. Life doesn’t turn out exactly the way we hoped, and we lower our expectations, trying to protect ourselves from pain. But walking—prayer walking—has lifted me and my expectations. Giving my troubles to God, truly trusting Him with my problems, has made a tremendous difference in my life. About eighteen months ago, I spent an hour walking, struggling with problems, worried about things I had no control over but that affected me and my loved ones. I’d been trying to get published for almost seven years and truly was at the end of my rope. My father had chronic, heart-breaking health problems. Money was tight. My kids were getting older and their problems could no longer be solved with a cookie and a hug. As I approached the end of the trail, I felt a deep peace in my heart. I truly trusted God would work everything out for my best. The next six months were very difficult on multiple levels, but daily prayer kept me from falling apart. Many times my mind drifted back to that walk and the peace I felt. Even as life got worse, I trusted in God’s best. My life isn’t perfect, but God has blessed me in so many ways since that day. My publishing dream came true this month with the release of Small-Town Bachelor. My dad still has chronic, heart-breaking health problems. Money is still tight. My kids are teenagers and their problems can’t be solved with a cookie and a hug. And all of it is okay, because God works everything—positive or negative—out for our good. We have less control than we think. Acknowledging God’s power and trusting in His best is the only way I want to live my life! Do you struggle to trust in God’s best? Thanks so much, Jill! I know I struggle at times to trust in God's best, but when we see how much we mean to Him and that He only wants what's best for us, it becomes easier:) Love your heart and how you've trusted in Him. 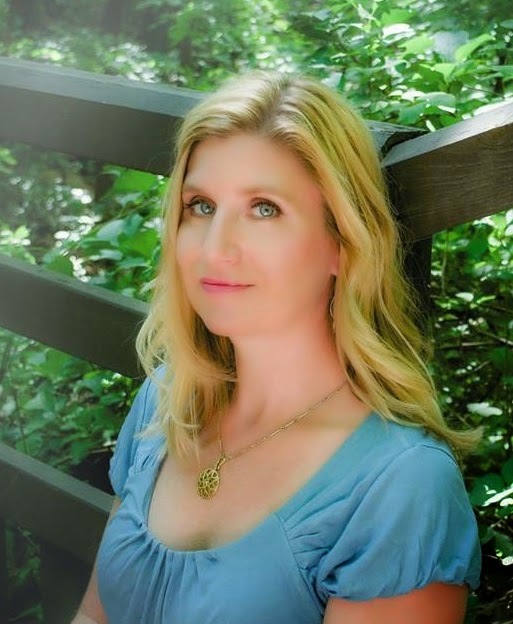 Jill Kemerer writes inspirational romance novels with love, humor and faith. A full time writer and homemaker, she relies on coffee and chocolate to keep up with her kids’ busy schedules. Besides spoiling her mini-dachshund, Jill adores magazines, M&MS, fluffy animals and long nature walks. She resides in Ohio with her husband and two children. Jill loves connecting with readers, so please visit her website www.jillkemerer.com and find her on Facebook and Twitter. Thank you so much for hosting me and for helping me launch my book, Susan! I'm so grateful for your friendship!! My son, Bill, started long distance running and he prays as he runs. I like the idea of walking/hiking/running and praying. Jackie, my daughter runs cross country, and I'm amazed at anyone who wants to run!! It takes so much endurance. I can barely shuffle/jog! But, I have to say, walking outside is my go-to prayer place!